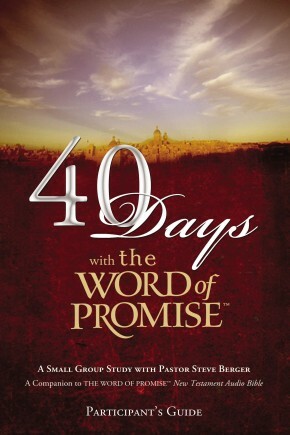 Listen to the entire New Testament in just 40 days! Enjoy the dramatic audio theater of The Word of Promise® New Testament Audio Bible for 30 minutes a day and experience the complete New Testament in only 40 days. 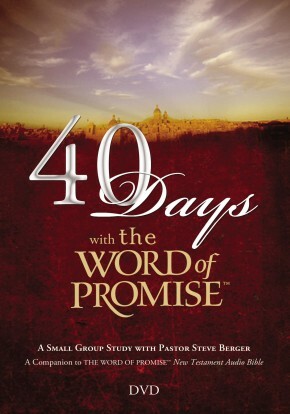 And turn The Word of Promise® New Testament Audio Bible into a small group or church-wide experience, using 40 Days with The Word of Promise®, a study that takes a comprehensive and multimedia approach enabling families, churches, and small groups to listen to and study the New Testament together. The small group or church-wide campaign includes video discussion starters, sermon outlines, small group guides, and other downloadable resources.